With the MLB season in full swing, you’re probably already participating in daily fantasy baseball contests. You might even have the beginnings of an effective draft strategy under your belt. But I’m going to share something with you today that will motivate you to reevaluate your approach. Your process for drafting lineups should reflect the type of contest you’re playing. We talked about the differences between large-field and small-field daily fantasy baseball in the past. In the linked article, I gave you some tips on how to draft pitchers and hitters according to whether you’re competing against just a few players or hundreds of them. Today, we’re going to break things down even further. We’ll focus on 50/50s, head-to-heads, and guaranteed prize pool tournaments. Each one is a different animal. As such, each one deserves a slightly modified draft strategy. Let’s start off with a quick recap of the various game types you’ll find at the top daily fantasy baseball sites. If you’ve read this article, the following information should be familiar to you. In that case, just skip down to the section where we deal with the strategy for 50/50s. Otherwise, here are some quick definitions to get you up to speed. 50/50 – This is a contest in which half the players win. If your ending score puts you in the top half of the field, you’ll practically double your entry fee (minus a small percentage for the site’s rake). Sometimes, you’ll compete against as few as a dozen competitors. Other times, there may be few hundred. Depending on the fantasy site, you might see this type of contest listed as a “double up.” Don’t let that confuse you. It’s essentially the same thing as a 50/50. Head-To-Head – The name is self-explanatory. You’re squaring off against one other person. Think of it like a chess match. One person wins. One person loses. Cash for the former. Tears for the latter. Guaranteed Prize Pool (GPP) Contests – GPPs are a ton of fun. You compete against a huge wave of other players – sometimes numbering in the thousands – for the chance to win a large cash prize. The entry fee is often just a $1, which limits your risk. If you finish at the top of the field – even in the top 10% – you stand to win a healthy payout. Let’s now get to the meat of this article. We’ll start by coming up with a draft strategy for 50/50s. When you’re competing in 50/50s, coming in first is the same as finishing last in the top half of the field. For example, suppose you’re playing in a 50/50 with 29 other people. It won’t matter whether you finish first or fifteenth. You’ll get paid the same amount. Think about that from a draft perspective. You don’t care whether you finish first, second, or third. That means you don’t have to stake your hopes on finding that one amazing player who’ll produce an outrageous number of points that evening. Instead, pick a solid pitcher with a great track record and focus the rest of your budget on building a well-rounded, dependable lineup. **A quick note: your pitcher is going to generate most of your points. That being the case, put some time into finding the best pitcher you can afford to draft. Don’t spend so much money on him that your offense looks like a third-tier high school team. But bear in mind that now is not the time to be a cheapskate. ***Another quick note: I mentioned that the field for 50/50s can range from a dozen players to a few hundred. As a general rule, the larger-field 50/50s are safer bets. A larger field means that your team will be stacked up against more mediocre teams than would be the case if you were playing against a few skilled competitors. There’s a good chance that you’ll lose in an H2H contest. Why? First, you only have one opponent. You can’t count on a large field filled with mediocre lineups. Your team needs to be stellar in order to win. The second reason involves the type of players who usually compete in head-to-heads. They tend to know what they’re doing and have the track record to prove it. If you’re a novice, watch out. You’ll be trampling on feeding grounds while occupying the bottom of the food chain. First, look for consistency. Some MLB players are phenomenally productive on some nights only to fall apart on other nights. They’re all over the map. Other players turn in a solid performance every night they play. In H2H’s, you want your roster filled with reliable players. Second, avoid opponents who have won a large sum of money at the fantasy site. Their winnings indicate they’re good at putting together great teams. You don’t want to square off against them. How do you find out whether a competitor has won a lot of cash? FanDuel makes it easy. Your opponent’s name is listed in the column titled “Contest” in the main Lobby (filter the list so that it displays only head-to-head contests). Click it to see how much he has won. The winnings are categorized by sport. Guaranteed prize pool tournaments are in a class by themselves. Think of these contests in the same way you’d think about rolling a hard eight in craps. Winning requires a bit of luck. You need to fill your roster with players who each put up a significant number of points. Reliability is nice, but it won’t bring you a cash prize in a GPP. When you’re shopping for a pitcher, don’t blow your entire budget. The key is to maximize the number of points you can buy for each dollar. You’ll need to do a fair amount of research to find pitchers who offer value. Determine which ones are on a hot streak. Find out who has recently come off the injured list. Figure out which ones are scheduled to play in pitcher-friendly ball parks. How has the pitcher performed against the hitters he’s scheduled to match up against? How has he performed in the type of weather expected for that evening’s game? Are Vegas oddsmakers predicting a low-point game, suggesting that the guys on the mound will successfully keep hitters at bay? It’s a lot of work. But assuming your opponents won’t put in the same effort, it can pay off. When shopping for hitters, focus on guys who have performed well against the pitchers they’re scheduled to face that night. 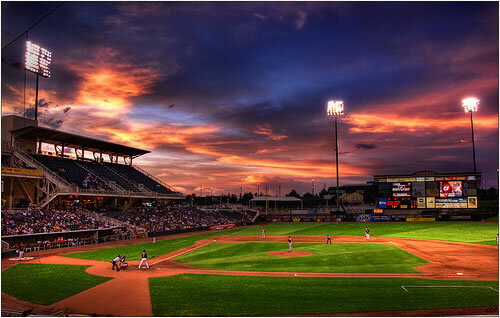 Look for those who are scheduled to play in hitter-friendly parks. And of course, check Vegas odds for the over/unders on that night’s games. Big numbers suggest a lot of points are going to be scored. Here’s the takeaway: your draft strategy should change according to the type of contests you’re competing in. Your approach to 50/50s is going to be a lot different than your approach to GPPs. Stay flexible. The upside is that you’ll stand a much better chance of consistently winning cash prizes. Before long, you may become the type of daily fantasy player other beginners would do well to avoid. Wondering where to get started in daily fantasy baseball contests? Check out Fanduel or Draftkings! Both sites offer great contests! Posted in Daily Fantasy Sports Tips, Fantasy Baseball Tips. 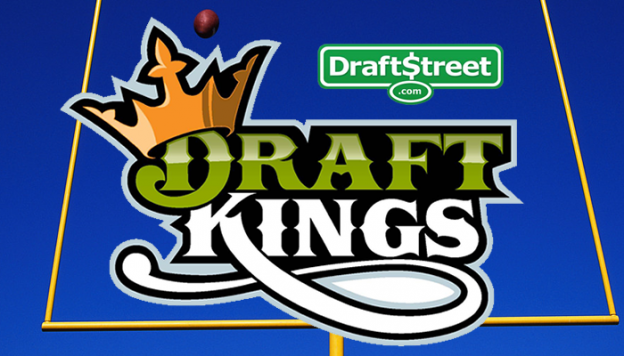 News broke on Tuesday that DraftKings had acquired Draftstreet. Users of both sites were informed by simultaneous e-mails. This takeover will see the user base of DraftKings rise by nearly 50% and added to this the site will now offer increased prize funds in their Legends Series with a $3.3 million fund and a $1 million first prize. DraftKings did have a workforce of around 50 people before the merger, but this will grow to around 85 employees after the takeover. DraftKings also plans to hire several more software engineers and project managers by the end of the year. What does this mean for the Daily Fantasy Sports Scene? 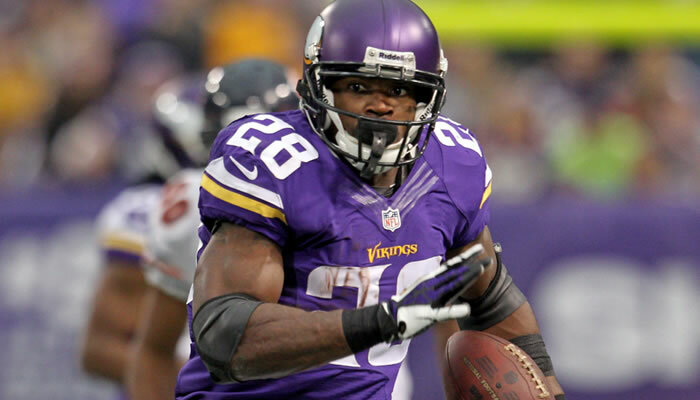 How this move will affect the overall Daily Fantasy Sports Scene is open to question. 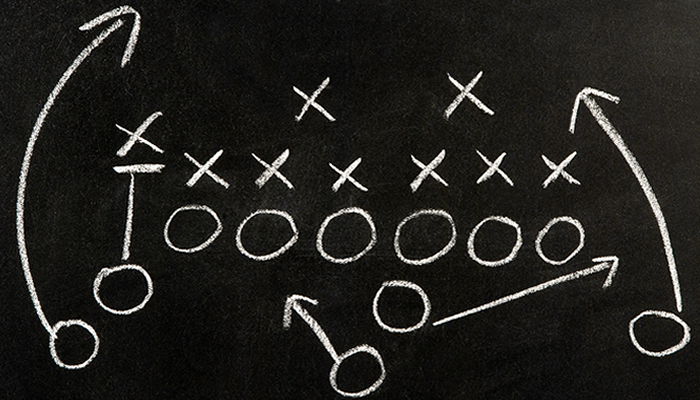 With the NFL season fast approaching, this is a critical time for the industry and traditionally a time when firms will experience their highest amount of new sign ups. The merging of the second and third sized sites in the industry will present a fascinating rival to number one FanDuel and industry insiders are wondering if this acquisition might open the market for another firm to test the dominance of the new big two. 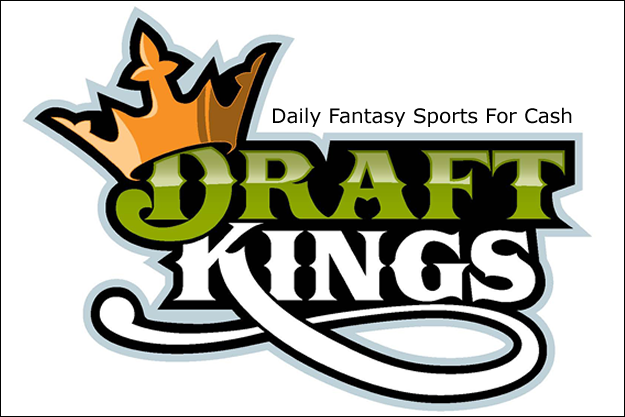 Posted in Daily Fantasy Sports Tips, DraftKings, Fantasy Sports Tips and tagged draftkings, draftstreet, fantasy sports sites. Are you thinking about drafting Tiger Woods in fantasy golf? Should you select Tiger Woods for your fantasy golf lineup? There’s arguments both for and against choosing the game’s most famous golfer. Many people would say the smart money bets against Woods in fantasy golf, due to his increasing age and out-sized popularity with casual fans, but in the right circumstances, Woods can offer exceptional value. Tiger Woods has certainly reached the age when most golfers show an obvious amount of physical decline. Some golfers adjust mentally, others physical; Tiger is one of the few who can do both. Yes, Tiger’s skills are slowly decreasing, and yes, he’s no longer two strokes a round better on average than any other pro golfer. He’s also going to have to keep on retooling and readjusting now that his body is showing more and more signs of physical wear and breakdown. However, Tiger remains virtual unchallenged in pro golf for his ability to go through that process and return to the top of the game. His overall physical condition means that despite being 38, he’s still a fit 38, and he may have as much as a decade of top-level golf left in his body, barring more serious injury or the simple loss of will to compete. Tiger Woods is generally overpriced in salary-cap formats due to his name recognition for casual players, but in a straight draft format, he can often slide to a very attractive spot. Savvy fantasy-golf players can often overthink themselves, saying, “He’s old, he’s hurt, he puts too much pressure on himself…” and go pick a younger golfer of less ability instead. Then consider that your league probably gives most of its points to subpar holes (birdies, eagles) and consistently high finishes in events. In 2013, despite the off 2012, Woods still won five events, had several other high finishes, was fourth in birdies per round, 15th in number of holes per eagle – and oh, yeah, he was the number-one rated overall player. Woods is noted for his ability to run off three or four great events in a row, and he’s also one of a very few golfers who can post a low, low number more than once in a given weekend. Many golfers can’t seem to follow up a 65 with anything other than a 73, but Woods doesn’t have that problem. That’s why Woods, when he’s on his game, is one of just a handful of golfers who can win a tournament by five or six or eight shots, and all those extra holes under par can make for a winning fantasy-golf weekend for whoever has him in the lineup. Few other golfers can close out a tournament in a similar manner – Rory McIlroy being one of the exceptions – so if Woods seems primed for a super weekend, give him a serious look. The same pressure that Tiger Woods places on himself in golf’s majors might be one of the reasons he’s still stuck on 14 titles, but the flip side is that he doesn’t put as much pressure on himself in non-majors. The result? He’s been even tougher in non-majors where he regularly participates than his overall great number would indicate. This holds particularly true on course where Woods is comfortable and has had considerable previous success. At Bay Hill (Arnold Palmer Invitational), for example, Woods has already won eight times, and would have been the favorite for the ninth in early 2014 had he not been sidelined by his bulging disk. Woods might not get to Nicklaus’s 18 majors, but with 79 PGA tour wins already, he’s a virtual lock to eclipse Sam Snead’s mark of 83. And Woods plays fewer events each season than many other PGA pros. So it’s not a major, and Woods is on the course? Then you have to consider him for your lineup. The minus side of Tiger’s game is that he’s already had to reconstruct his swing and game on several different occasions, and he’ll likely have to do it again to protect his aging body, particularly his back. That’s tough for any athlete, especially one nearing 40, but Woods has shown himself to be more mentally suited to this form of challenge than virtually any other athlete, let alone a pro golfer. So the smart money doesn’t bet against him making another climb up golfing’s performance charts. Such climbs are always done in skips and jumps, with stages of improvement marked by periods of setback and little gain. That means if you can time it correctly and add Woods at the right moment, when he’s really honing his game into shape, he can be a great value. Tiger Woods is often overvalued in general terms, but at the right moments and in certain formats, the best golfer in the game can offer an exceptional value to a fantasy-golf lineup. The key with Woods as he grows older will be to use him selectively in your lineups. 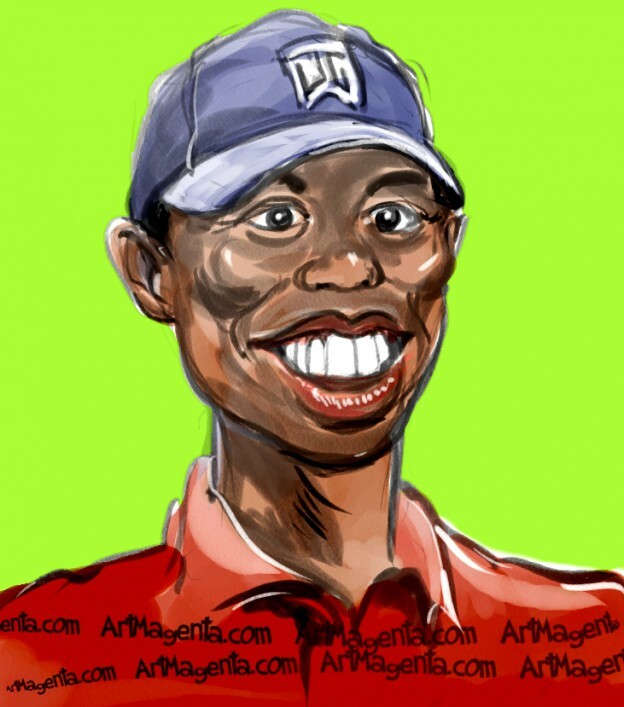 Done correctly, it can be a “Best of Tiger”-type run… and that in turn can make your fantasy golf lineup a winner. Posted in Daily Fantasy Golf Tips, Daily Fantasy Sports Tips, Fantasy Golf Tips, Fantasy Sports Tips. All Fantasy Football Is The Same, Right? 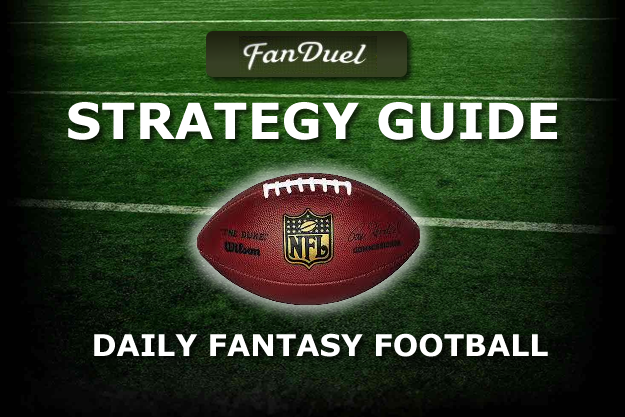 How easy it to play daily fantasy football? How does it differ from traditional fantasy football leagues? How easy is it to make a deposit at a daily fantasy site? Which are the best daily fantasy sites? Can I cash out my winnings immediately? Fun as they are, traditional fantasy football locks in a player for an entire year, both in terms of the roster initially drafted and for the need to do one’s stat-research homework, every… single… week. Think about all the full-year NFL fantasy owners whose entire season was damaged by a single major injury, as happened with Packers’ MVP quarterback Aaron Rodgers last year. Major injuries, trades, sudden and unexpected declines in performance – these are the bane of fantasy owners, just as they are for real-life NFL teams. With DFF leagues, there’s none of that. The bad results of the past week are quickly forgotten and it’s on to the next weekend’s games. Injuries might knock you out in one week, but it’s only that week. And you don’t have to play every week, or every game. If you have pressing real-life matters or just need a breather, there’s no pressure to play every single contest or week. Most online DFFs use scoring systems that incorporate more statistics and scoring opportunities than found in season-long leagues. One reason is simply because they can; the interactive nature of the game allows for live-time editing and rapid calculation of the standings for any given week or contest. Even at that, some sites and services are more stats-intensive than others. DraftStreet, one of the largest sites, has a particular reputation for complex scoring rules and the need for increased statistical evaluation. Other sites are more casual and entertaining, but don’t be fooled: Everyone who plays is out to win, and they’re playing as well as they can according to each site’s rules. Finding one’s favorite DFF sites is a matter of finding the proper balance between statistical and research requirements, contest sizes, buy-ins and potential payouts, and special promotions or contests that offer extra value and entertainment to the fantasy player. Each fantasy-football site is different and offers players its own special strengths. The amount of statistics and scoring systems is among the most prominent examples. Few things drag down a long-term league faster than chasing down late lineups or dealing with arguments ensuing from roster changes of dubious legality. With online DFFs, there’s none of that. Everyone who pays an entry fee (as little as $1, with so-called “freerolls” and play-money events also available) is there because they want to be there. Registering for an event puts the pressure on the player himself to take care of getting a lineup in on time and according to league rules, and if he does a poor job, that just benefits the other players. Plus, the automatic scoring means that the site and software itself handles all the statistical legwork; all the players themselves have to do is pick a lineup and play. The formal legalization of fantasy sports under the 2006 UIGEA means that players can use online payment systems to participate that are blocked for use with other forms of gambling sites. 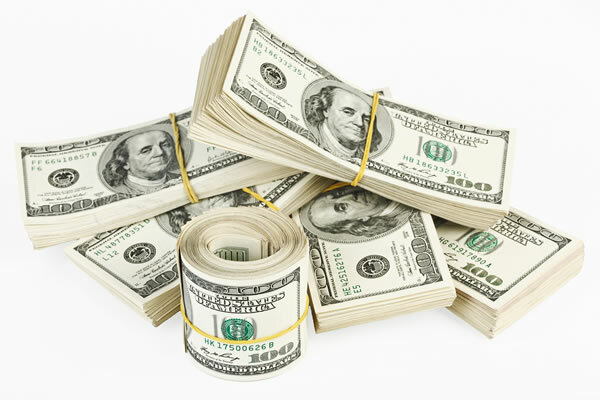 It’s a virtual breeze to create an account on most major sites, which are based in the US and accept both PayPal and several prominent credit cards. Since these US-based financial institutions offer their own purchase and fraud protection, daily fantasy sports’ legal legitimacy thus gives the players an extra level of security. While offshore gambling sites of other types have often encountered problems, and have even disappeared with players’ money, the US-based fantasy football world offers far greater security. Tired of waiting for an entire season to elapse while your money is sitting in a jar on the commish’s desk, even though you clinched your league with a month to go? And what happens if the commish himself disappears, or if other players in your real-life league refuse to honor their financial commitments? One of the biggest plusses to daily fantasy sports and online sites is that when you win, your winnings are credited immediately to your account. In turn, unless you’re clearing a special bonus offer that might involve more gameplay, you’re able to withdraw your funds immediately. Such withdrawals generally take a day or two, depending on the site and deposit/withdrawal method used, but are clearly more attractive than waiting for Mr. Commish to ship you your money. Posted in Daily Fantasy Sports Tips, Fantasy Football Tips, Fantasy Sports Tips. Thinking about selecting Tiger Woods for your fantasy golf lineup? It’s an old truism in golf. Back problems have shortened or lessened great golfing careers more than all other forms of injury combined. And now Tiger Woods has back problems. Are they correctible? The surgeons say yes, and you can bet Tiger will train and re-strengthen his body, for but golfers, back problems never seem to go away completely. One could ask pros ranging from Phil Mickelson to Freddie Couples to Lee Trevino; in golf, back injuries take their toll. One thing that’s seldom commented in on his how hard Tiger swings, relative to many other golfers. That swing itself likely increased his risk of injury. Now that he’s been injured, it can crop up again at any time. Woods has had a couple of other dings in recent years as well. Even when he’s healthy, he now carries a somewhat higher risk, compared with other players, of injuring himself again and dropping from contention or being forced to withdraw. That little bit of extra risk transfers into slightly worse value in fantasy golf. Due to injuries, time off, and despite occasional appearances overseas, Tiger Woods just doesn’t play as often as one would think. He’s spent much of the spring of 2014 on the injury list, but he’s never been much for golf’s year-end “silly season” and he’s only played in three official PGA events since September of 2013, for combined winnings of less than $90,000, a decidedly non-Tigeresque sum. It’s hard to imagine that when Tiger returns, he’s going to have his old form any time soon. Maybe he’ll back by the US Open, but probably not. The British Open? That’s more likely, but injuries such as Tiger’s typically require six months’ rehabilitation to return to top form. 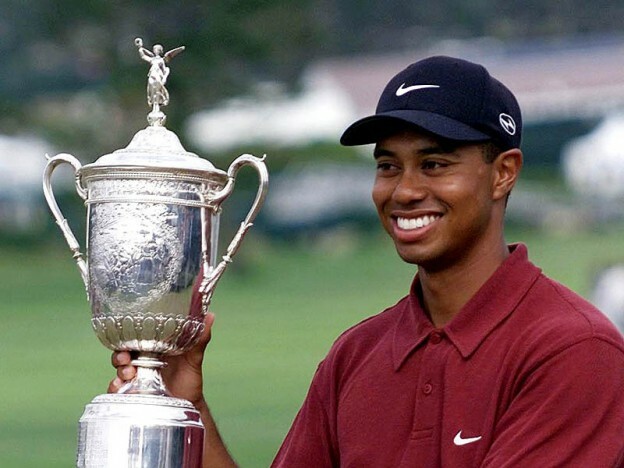 That leaves only the PGA in early fall, meaning that 2014 is easily odds-on to be another major-less Tiger season. Adding in all the internal pressure that Tiger seems to place on himself as he chases Jack Nicklaus’s all-time mark of 18 major wins, selecting Tiger for your fantasy team when any of the 2014 majors is on tap just seems to be a low-percentage play. Injured or not, golfers play more inconsistently in general as they get older. At the age of 38, Tiger Woods has entered that area where his physical skills and prowess and pro-athlete timing have begun a subtle decline, no matter how much practice or physical training he puts into his game. The line older athletes have to walk grows finer and finer; they risk injury by over-training, and if they under-train, parts of their game slide away from top form. That inconsistency can crop up anywhere, and Woods has already shown that he’s not immune to the bug. When he first returned to the tour after his long accident/breakup hiatus, the man simply could not hit a wedge pin-high; he went months before he was able to retrain himself to pro standards on that basic pro shot. His famed stinger is the envy of pros and amateurs alike, but he hits it in part because his traditional driver became so inconsistent that hitting that low driving stinger became the better percentage play. And his putting – there are some rounds, even some weeks, when he just does not make putts. The early Tiger drained everything, week after week. Remember, 38 is 38, golfer or no. If Tiger was a tennis star, he’d long since have been forced off the pro tour and into exhibitions. In the NBA he’d be a doddering, stat-padding drag on some team’s salary cap. Golf allows for longer careers, but his clock is ticking. Young golfers have a greater upside, and that’s a winning element in fantasy golf. Tiger’s a chronic tinkerer with his golf swing, and you can bet he’ll be readjusting it yet again in the hopes of alleviating some of the pressure it places on his back, that may have contributed to his recent injury. The last time he emerged from a long layoff, his swing was overly mechanical, and it took months for some of his natural fluidity to return. So what’s wrong with that? Tiger’s also been committed to a stringent workout regimen, and that’s made him ever more muscular and less wiry and lithe over the years. Extra muscles, less fluidity, and a mechanical swing is just the recipe for those occasional wild swing yips that can send a ball out of bounds at a key moment, perhaps taking him out of contention in a given tournament in the process. Recent years have seen Woods fire a few more of those wildly errant shots than in the “Young Tiger’ days, which all contributes to why he’s not as great a fantasy golf value as he once was. Tiger Woods remains the straw that stirs the proverbial drink when it comes to mainstream sports fans’ interest in golf, and that translates directly into fantasy interest. Woods’ recent back injury was reportedly to have caused an immediate drop of 20% in the total handle of all money bet on professional golf in the weeks surrounding the 2014 Masters. Many casual fans of golf pay attention only to what Woods is doing, true evidence of his transformation of the game, and that’s why whenever he’s on the course, the cameras follow his every shot. Now, not all of that 20% share which global bookies attribute to Woods injury-caused sidelining would be directly bet on Tiger, either for or against him, but a good share of it is. Yes, lots and lots of people bet against Tiger, particularly in fantasy golf, but many others, especially casual players, find it hard to resist that name recognition and marquee allure. As a result, Tiger Woods is consistently overvalued; he’s fine in traditional drafts, but in a salary-cap format, he’s seldom a good value. There are times when riding Woods can be worthwhile, particularly at a course where he’s had perennial success, or when he flashes that special “not going to lose” grit that was a larger part of the old Tiger’s makeup. Having Tiger Woods in your fantasy-golf lineup can be a winning play, but more often than not, the price to obtain him is just too high for the risk involved. He’s still going to draw plenty of interest, but interest and attention isn’t part of the winning formula for a fantasy-golf owner.